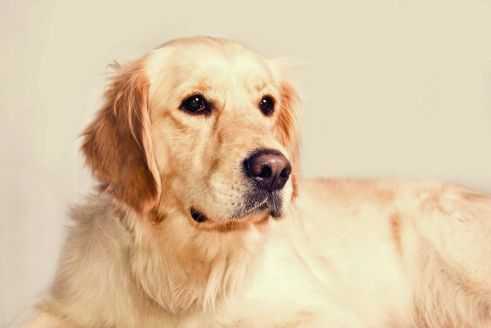 About five million German households have a dog, and the number is on the up and up. The range of services catering for these four-legged friends is growing all the time and this underlines the special relationship the Germans have with their pets. There are not many societies in which dogs are as present as they are in Germany. They are everywhere, for example, at the “Doggy Beach” on Lake Grunewald in Berlin, where Berlin dog owners take their four-legged friends of all breeds and sizes for a walk: well behaved hunting dogs strutting along with their masters – both in matching hunting outfits, elderly ladies with perfectly coiffed poodles, stroller-pushing families with lively Labradors and mongrels. Furthermore, since March 2015 a special restaurant for dogs has even been serving up kangaroo and salmon and in winter it holds a special Christmas market for our canine friends. 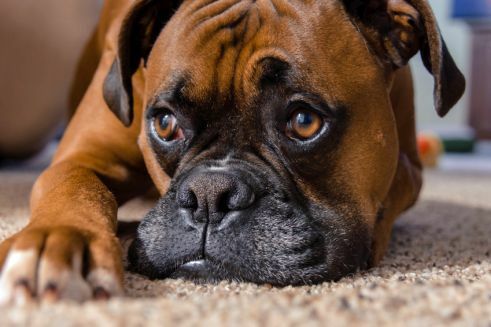 According to the association of German pet suppliers, Heimtierbedarf, in 2014 there were 6.8 million dogs living in 14 percent of German households, but no way, however, does this make Germany the country in Europe with the highest population density of dogs. 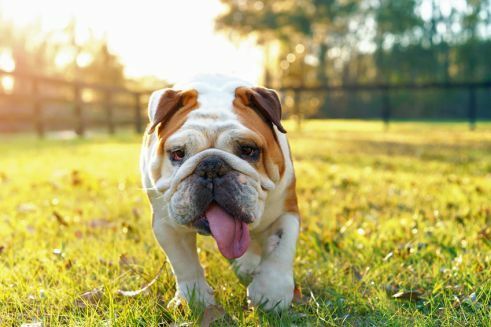 For their owners the quadrupeds fulfil a whole range of social functions: the dog is a constant companion, comforter and mood enhancer that is always there for them, that gives them a feeling of security and that accepts them without prejudice. When man and dog live together stress is reduced and this has been called the Cinderella Effect by researchers. The Germans’ love of their dogs is primarily expressed in an ever-growing, wide range of services that caters for the animal’s every need: canine hairdressers, canine physiotherapists and alternative practitioners of veterinary medicine, dog sitters and dog walkers are all there to ensure the well-being of the dogs. Hotels offer wellness spa deals for both dog owners and their dogs, canine boutiques sell matching outfits and accessories for owners and dogs. Magazines that specialise in targeting modern dog owners generate an annual turnover that goes into the millions. In his TV show Der Hundeprofi (similar to “Greatest American Dog”) dog trainer, Martin Rütter, gives people help and tips on how to train their dogs. The show is staged live in event halls all over Germany and it regularly attracts thousands of fans. It should not be forgotten, however, that from a historical point of view the dog was first and foremost a work animal, and not one to be cuddled. In the Weimar Republic the streets were still full of dogs pulling carts and they were considered to be the “common man’s horse”. In the two world wars dogs were used to search for the wounded, to convey messages, to transport ammunition and provisions, or to track down the enemy. Even today dogs are still used to carry out important functions in society, for example, as police dogs, guard dogs, rescue dogs, therapy dogs and guide dogs for the blind. In his book Die Deutschen und ihre Hunde (The Germans and their Dogs), the historian, Wolfgang Wippermann, describes the German dog as an important factor in the culture and mentality development of the Germans. Otto von Bismarck’s Great Danes, popularly dubbed the “Reich’s Hounds” back then, as well as the German Shepherd Dog, apparently represented German virtues such as deference to authority, courage and nationalism. As the German Shepherd Dog was to be seen as the embodiment of power and strength, it was certainly no coincidence that in the Wilhelmine Era it was bred according to strict “drawing board” guidelines. 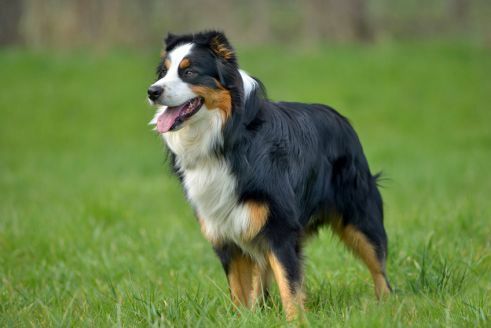 All the virtues ascribed to this breed turned it into a nationalist symbol during the Third Reich, the Nazi propaganda machine was adept at shining the spotlight on Adolf Hitler together with his German Shepherd Dog, Blondi. Even today, the German Shepherd Dog still holds its dominant position as a service dog. The leftist protest movement of 1968, however, called the animal into question, because the German Shepherd Dog was a symbol of the “system”, of the fascist past, as well as a symbol of the petty bourgeois present. 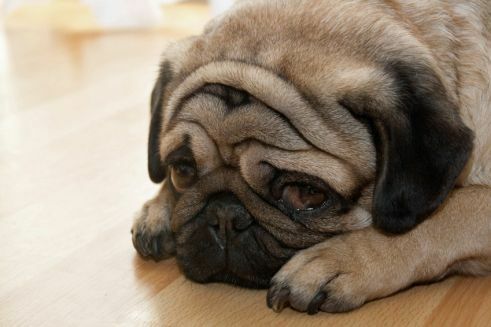 Wippermann has established that a historical change has taken place in the relationship between dog owners and their pets: although dogs were working animals in the beginning, they then developed into pets and this automatically turned them into animals that could be cuddled. 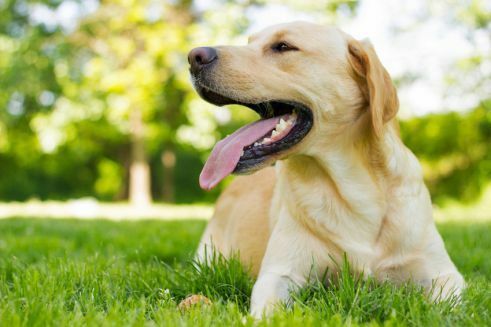 For many dog owners, however, “man's best friend” has in the meantime assumed the role of a partner or has become a child substitute, which is also reflected in neologisms like “doggy nanny” or “day care centre for dogs”. In 2010 a research group at Bonn University conducted a study on the psychology of human-animal relationships. For 35 percent of the 2789 respondents their dog represented the main focus in their lives and was the most important partner. 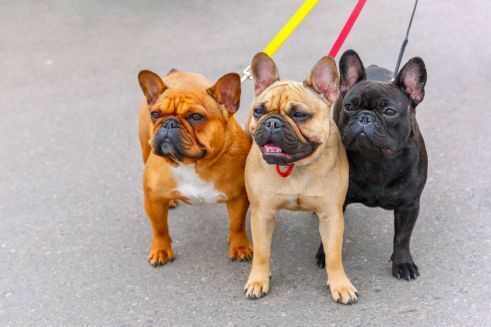 The coordinator of the study, Silke Wechsung, established that there are three main types of dog owners, all of whom differ significantly in attitudes and behaviour. In addition to the aforementioned group of those who are strongly focused on their dogs and emotionally involved with them, there is the largest group (43 percent) – these are nature-loving, socially oriented dog owners who want to commune more with nature and have contact with other people via their dogs. 22 percent of the owners, however, had a dog for prestige reasons and tended towards a strong humanisation of their dog. In general, the psychologist observed a broad spectrum of approaches to dog ownership ranging between “extreme idolisation, on the one hand, to brutality on the other” - even though in other countries the approaches might well be even more drastic. Germany also has much stricter animal welfare laws compared, for example, to southern European countries. “There are definitely no really typical German dog owners. 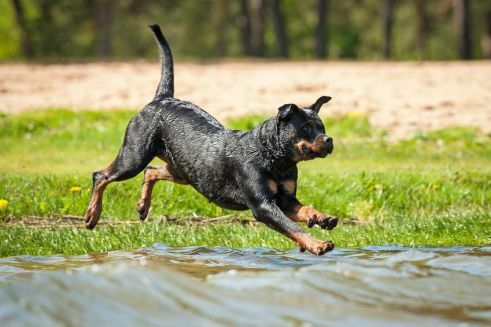 With respect to purchasing motives, expectations and the practical side of owning a dog there are huge differences”, says Silke Wechsung firmly. 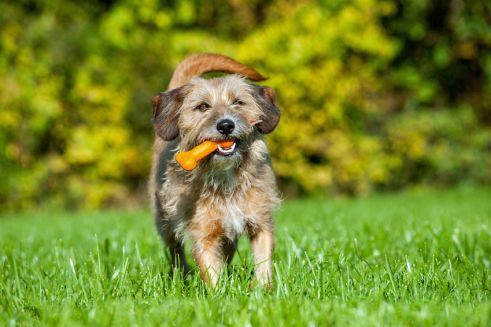 There is just one criterion, however, that is always the same when it comes to buying a dog – German dog owners are primarily persuaded by what the dog looks like. For the animal itself, however, his owner’s appearance, career and money do not play a role at all. 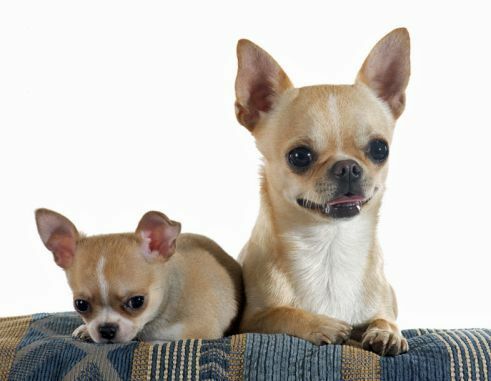 That is why the owner is loved so dearly – dogs simply take people as they come. The mongrel gains the palm and Loriot’s favourite, the pug, takes only sixth place. What is your favourite breed of dog? And what does your four-legged friend mean to you? Or would you prefer to banish forever all dogs, whether fresh from the dog groomer or not, from parks and streets? Tell us your opinion. is the proprietor of f/21 Büro für Zukunftsfragen and as an organisational consultant and publicist she investigates developments in social change.